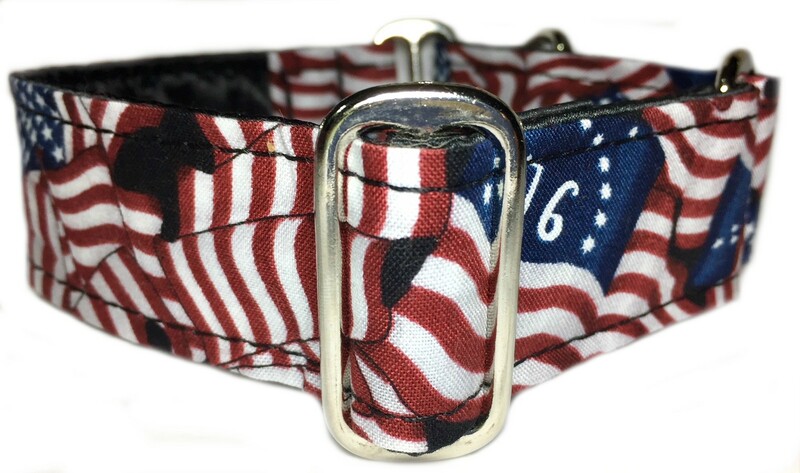 A patriotic fabric is sewn onto a strong yet flexible polypro base that is first completely wrapped in black cuddle satin. 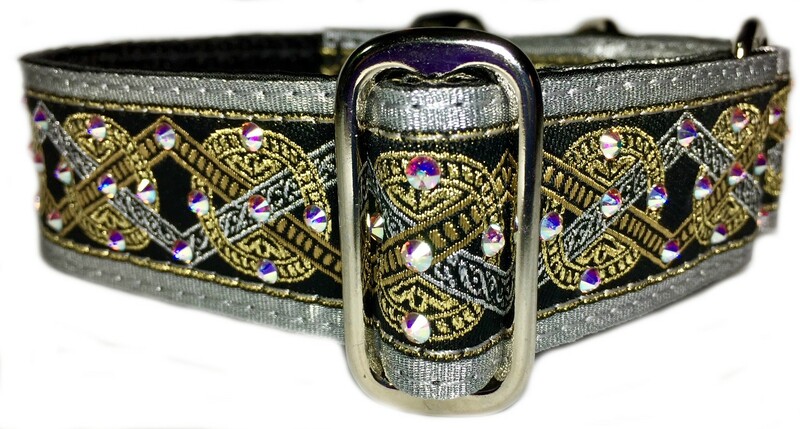 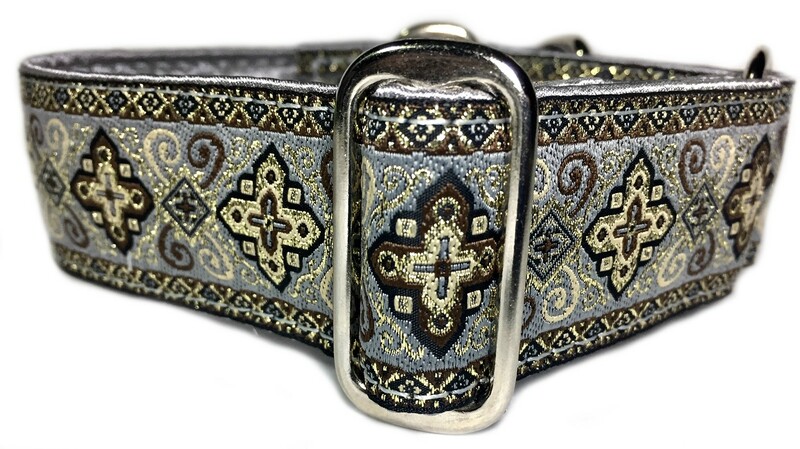 Photo shows a 1.5" wide martingale collar put together with nickel hardware. 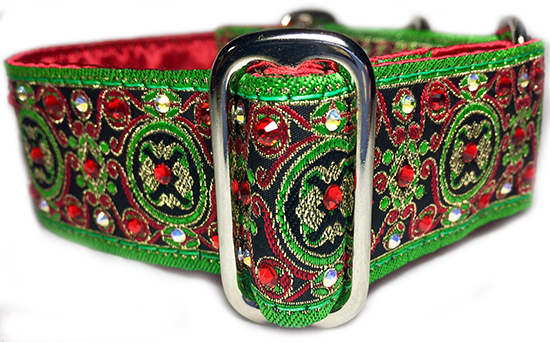 Please choose the size you need and the hardware and width you prefer below.